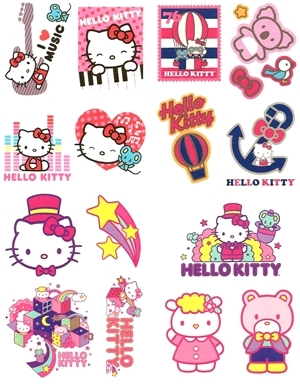 Hello Kitty tattoos. The tattoo selection may vary in each gift pack, but each will contain a minimum of 50 different tattoos. The tattoos are together on approximately 15 sheets to be cut and used as required.